When selecting your contests each night, it is essential to maximize your floor and profit potential. While each DFS player has their own unique strategy with game selection, it is important to have consistency with your bankroll each and every night. Decreasing variance is a great way to maximize your potential, and that begins and ends with game selection. As always, bankroll management is key. Generally, playing roughly 10% of your bankroll is a viable strategy. Playing a smaller percentage on smaller slates is another strategy that many players employ as well. Now let's get to the game selection. The actual percentage of games that you play in each format will vary based on the type of player you are, and the H2H percentage is subjective. Generally speaking, if you play a high volume of H2H games, you can decrease variance and raise your floor. A small volume of H2H action can actually increase variance on a given night, unlike Double Up games, which will host many similar lineups. If you're playing a H2H game, your score only needs to beat individual you are matched up against. A score that may not be high enough to cash in a 50/50 or double up (more on those in a minute) will often be enough to win H2H games, thus raising your floor and helping stretch your bankroll, even when you have a bad night. Also, the rake on a H2H is smaller than the rake in a double up or 50/50. Also, on certain sites, the higher stakes you play, the lower the rake on the H2H matchup. Here's an example: The rake on a $5 H2H matchup on FanDuel pays out $9, which means that $1, or 10% goes to FD. However, if you play a $535 H2H, the payout is $1,000, meaning that $70, or 6.54%, goes to FD in rake. An example of the rake in a “BIG" Double Up on FanDuel is as follows: $5 buy-in, $50,000 Prize Pool with 11,363 max entrants. When you multiply the $5 buy-in by the number of entrants, you get $56,815. This means that the total amount in rake is $6,815. When you divide the total amount of entry fees by the number of entrants (56,815-50,000)/(total amount) 56,815 = 11.99% rake. As you can see, the rake on this given contest is nearly 2% higher than the rake on a standard H2H match. The rake does vary within different contests, but it is important to be cognizant of the amount you are paying to the site when entering your contests. Your bankroll will thank you. 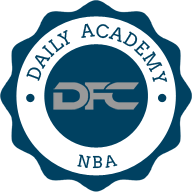 When playing 50/50 and double up contests in NBA DFS, it is absolutely essential to be aware of popular plays, or “chalk" across the board. More so than any other sport, NBA DFS has a plethora of obvious plays that can be considered a “must-play" on a given slate. An example of this would be an underpriced player stepping into a bigger role, or a bench player who is starting due to an injury. 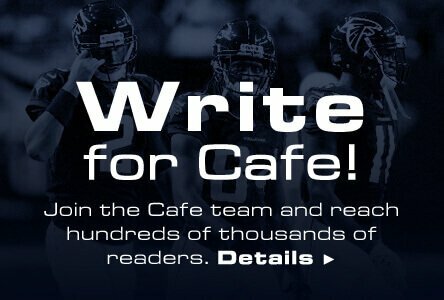 If you are playing these type of contests with hundreds or thousands of entries, these players can make or break your lineup, especially when they are 40-60% owned in cash game lineups. Fading the “chalk" plays can be a profitable endeavor in many sports, but in NBA DFS cash games, fading these players is rarely a winning proposition. Generally, when there are players who are expected to be highly owned, you not only need to have them in your lineup for a few reasons. First, you need to have them in your lineup for potential production, but secondly, these are typically “value" plays that won't cost you very much of your salary. These type of low-risk, medium reward plays are absolutely essential on some slates. Ultimately, playing 50/50 contests and double ups can be profitable, but in NBA DFS, you need to make absolutely certain that your lineup includes the popular plays. While it is certainly possible that these players don't pay off their salary, simply including them in your lineup keeps you on par with the rest of the field. When entering GPP contests, let me first steer you back to the value, or “chalk" plays that were mentioned earlier. While MLB and NFL contests allow you to “fade" the obvious plays in many formats, that isn't necessarily the case in NBA DFS. Including a few value or “chalk" plays to begin your GPP lineups gives you a solid floor, and you can differentiate your lineups elsewhere. When selecting your GPP contests, it is important to consider your bankroll. Some DFS players focus more on cash games or GPPs, but the average player only plays a small percentage of their bankroll in GPPs on a given night. While GPP contests can be a nice way to boost your bankroll quickly, they can also be a way to crush your bottom line and blow your bankroll just as fast. If you're a small-stakes player, it makes sense to enter a few lineups in a small buy-in GPP. Once you have a bigger bankroll, you can expand into more GPPs at varying buy-in levels. Take into account how much you have in your bankroll and how much you anticipate playing on a given night when deciding on which GPPs you will be entering. Looking back, it is a smart investment to play a majority of your “cash game" action in H2H games. For example, if I'm playing $1,000 on a given night, I'll be playing around 10% (or $100) in GPPs and 90% (or $900) in cash games. Of that $900, I'll generally play around 70% (or $700) in H2H games, leaving the final 20% (or $200) for Double Ups and 50/50s. As mentioned earlier, each person has their own unique approach and strategy, but these are some thoughts and ideas to get you started. 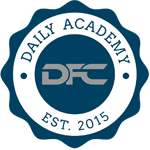 If you have any questions, feel free to reach out to our experts in the forums or on Twitter @dfcafe!